Global freight markets are on track to post their strongest year since 2010 as improved business confidence and the growth of e-commerce lifts cargo demand, new figures show. The International Air Transport Association (IATA) said cargo demand, measured by freight tonne kilometres (FTK), rose 8.8 per cent in November 2017, compared with the prior corresponding period. Cargo capacity, measured by available freight tonne kilometres (AFTK), rose 4.0 per cent in the month. The IATA report noted November was the 16th consecutive month where demand growth outstripped capacity growth, which supported load factors and yields, as well as the financial performance of the freight sector. IATA chief executive and director general Alexandre de Juniac said the November figures maintained the “momentum that will make 2017 the strongest year for air cargo since 2010”. “Air freight demand remains robust,” de Juniac said in a statement. African carriers reported the largest growth in demand, with FTKs up 17.5 per cent in the month thanks to a “boosted by very strong growth in Africa-Asia trade” that has jumped 67 per cent during the first 10 months of calendar 2017. 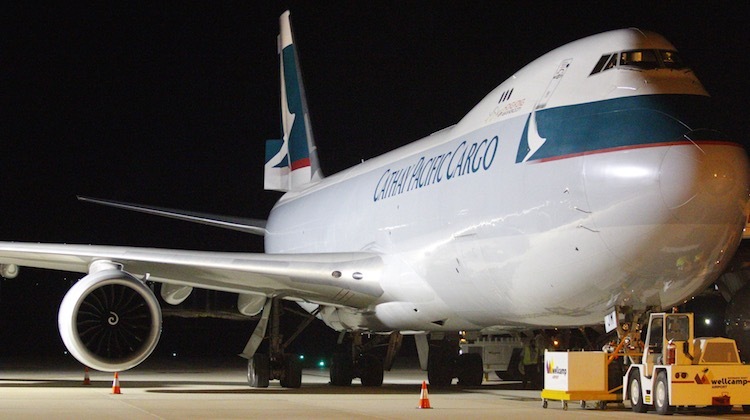 Asia Pacific, which carries the largest percentage of all air freight with 37.4 per cent of the world market, experienced an 8.1 per cent rise in FTKs, outstripping the capacity growth of 1.2 per cent. “The region’s manufacturers continue to enjoy buoyant export order books,” IATA said. Looks like the 747-8 will succeed as a cargo, if not a passenger, plane. Ironic? The original 747 -100 was expected to be relegated to cargo service once the Concord came into service. I also heard one story that the 747 actually failed in it’s original intention. It was Boeing’s contender for the U.S. Air Force heavy lift plane and was beaten out by the C5A. I’ve heard the Juan Trippe story about him wanting Boeing he wanted a big plane to replace the 707.. Which story is true…or is their a blending of both?